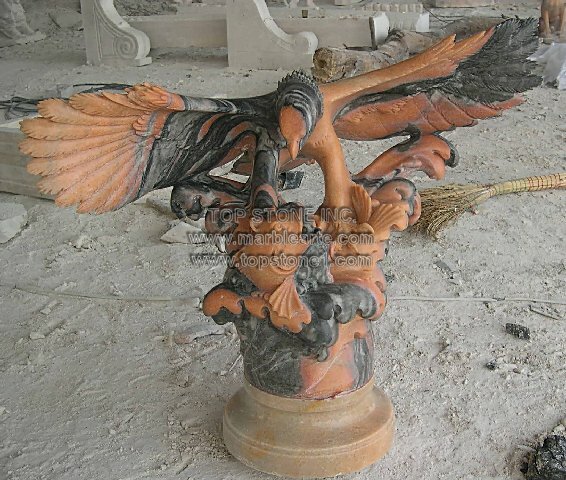 Description: TSAL042 - Flutter Of Wings Outdoor Statue - Flutter of Wings is one of few unique garden statues to flair out as a sculpture that many seek as personal monuments and public memorials. This one statue is so powerfully etched that one feels that a mere glance at these garden sculptures with its patterned marble carvings seem as if they would spring to life and take off into the sky at any minute. As far as art statues go, you will find these los angeles statues resplendent in a range of marble –feathered eagles in a marble art gallery.